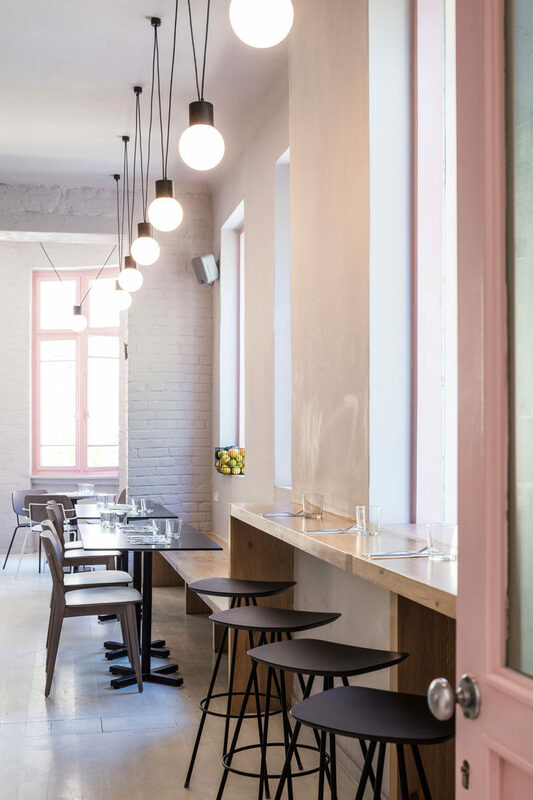 Amit Design Studio has recently completed Bana, an organic food cafe that’s located in Tel Aviv, Israel. 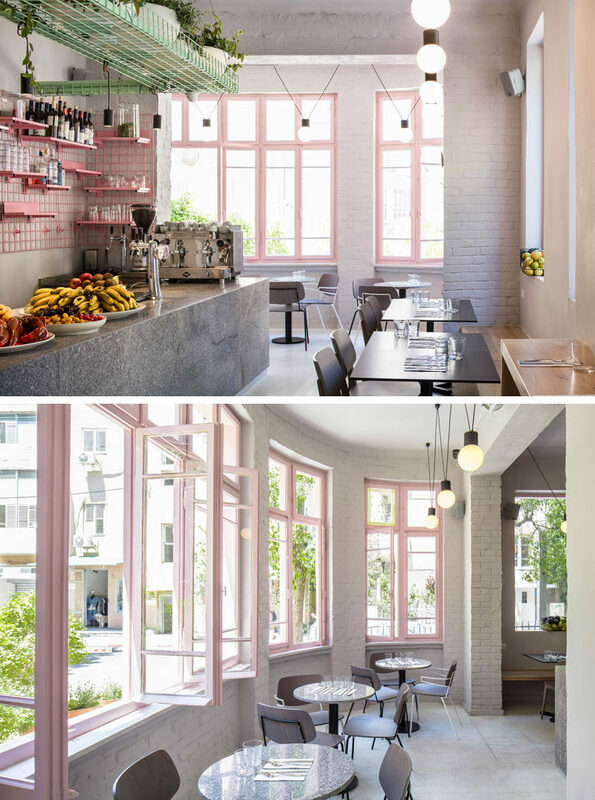 Throughout the interior, the color scheme is specifically guided by the ‘super-foods’. 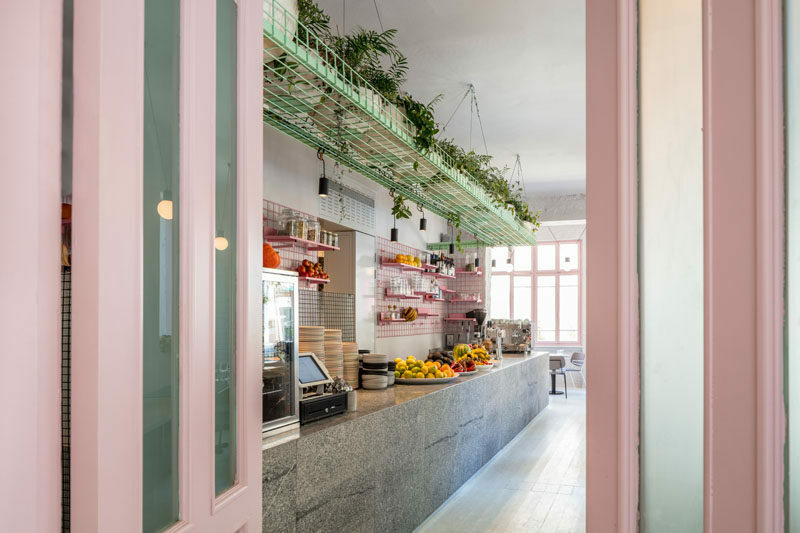 Along one side of the cafe is a long central worktop and bar that’s clad in granite marble, while above it hangs a green metal net basket that’s filled with plants. 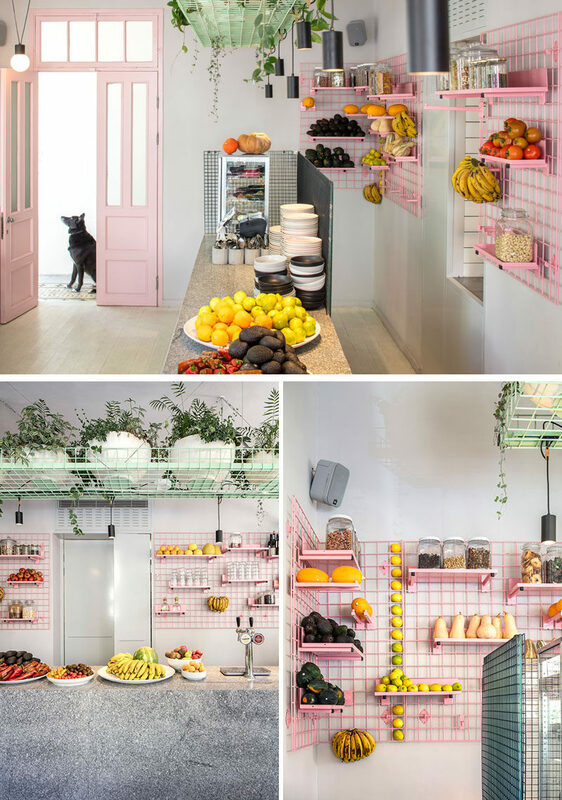 On the wall behind the bar is a pink metal grid shelving system that allows the shelves to display the fresh fruit and vegetables. Due to the design of the grid unit, the shelves and hooks can be easily moved, depending on the requirements of the day. Opposite the service area are various seating areas. A bar height counter is positioned in front of the windows, while the wood counter continues to become a bench for table seating. 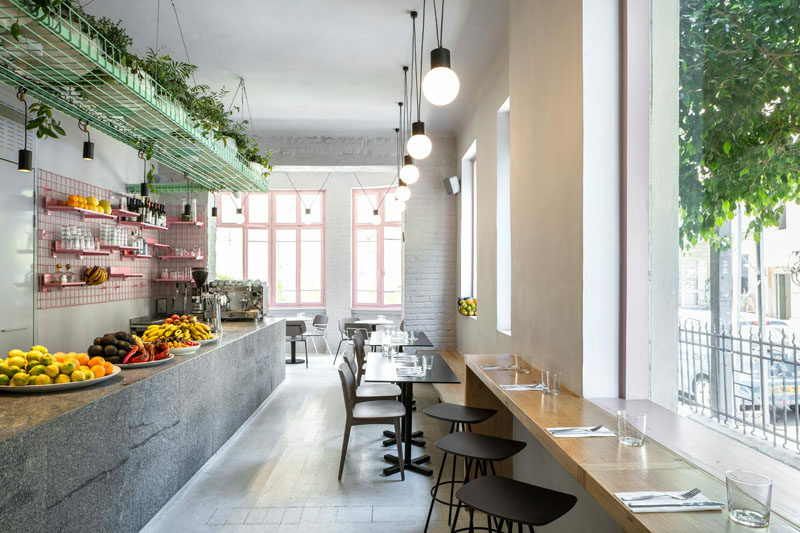 The high ceilings and wood-framed windows of the cafe create a feeling of openness, while the original brick walls have been painted in light grey.